Every so often, something ground-breaking comes along that forever changes how we do things ... The iPhone. The Sonicare toothbrush. The Keurig coffee maker. Clairol Root Touch-Up. They make life easier. They save us time and money, improve our health, even make us more beautiful. What if you could've started a turn-key business for less than $1000 and became the first and only distribution channel for one of these products? They weren't sold in stores, they were only available through YOU. This is where Rodan + Fields comes in. The Proactiv Doctors are changing the world again, and they want you to get your share of the market. Business has been booming, but it’s about to get a heckuva lot better. This week, in Dallas, world renowned dermatologists - Drs. Katie Rodan and Kathy Fields will release a new skin care device that has never been offered over the counter that is being raved about by the press and speculated to be the "largest in our history"... "game changing". On February 9, the skincare revolution officially begins and you can lead it. 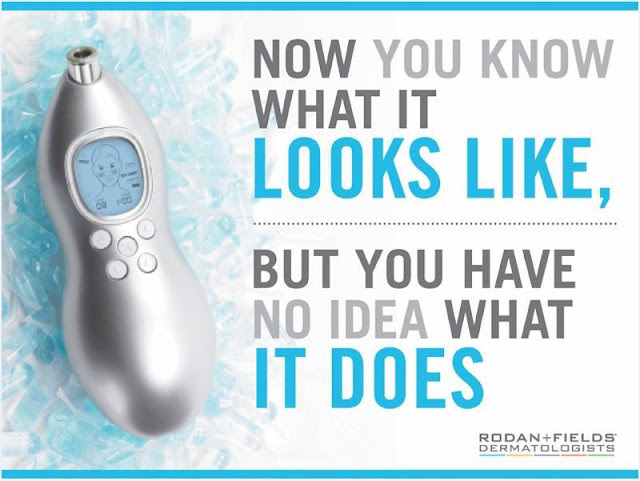 You can be the go-to source, with a new tool that will take in-home skin care to a new level. Even better, between now and February 8th, Rodan + Fields is offering this tool for FREE (a $279 value) for anyone who starts their business with our RFX Express Kit. Isn’t it time we had a conversation about the possibilities, about what this could mean for you? We are looking for consultants who want to be the FIRST to use this new device....for free. It's called a Macro-Exfoliator. It's innovative, effective and like nothing you've ever seen and that's all I can say for now! After officially released, the media and press will rave, and guess what... this is all free advertising for your new business! Thank you for your continued support. And if this just isn't for you...that's ok! But I always welcome new friends and business partners...I have a great referral program!